Juice cleanses. It seems like everyone is doing them and everyone is selling them - but are they just a fad or do they really have some worth behind them? As a big fan of a good pro's and con's list and someone who likes to get to the bottom of everything, I thought I'd take a look at the truth behind juice cleanses and find out if they were really worth their weight (or should that be weight loss?). Juice cleanses are drawing in customers with the promise of weight loss, detoxification and the treatment and prevention of just about every disease you could think of - but do they actually do anything? What is a juice cleanse/fast? First things first - what exactly is it? Generally, during a juice fast or cleanse, an individual will limit their diet to only fresh juices for anywhere from one day to over a week. This doesn't mean you raid the local supermarket for orange juice, generally speaking, their juice cleanses focus on fresh unpasteurized juices and smoothies. 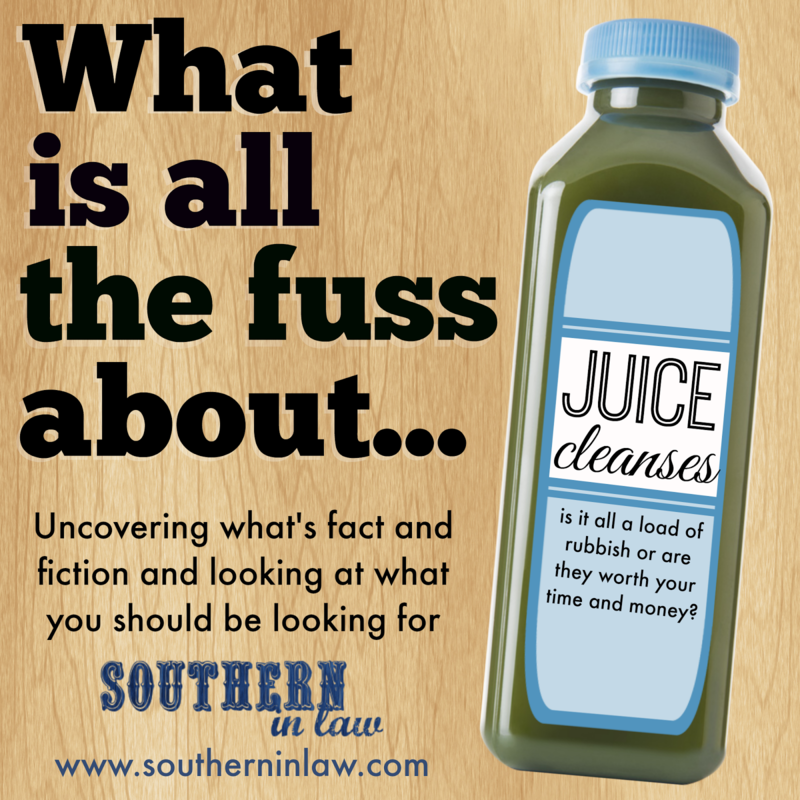 What do juice cleanses usually claim and what's the truth about them? You'll notice I say some because not every company is evil. They do add lots of fruits and vegetables to your diet however we need more than just fruits and vegetables. Our bodies require so many vitamins and minerals to function and fruits and vegetables on their own can't provide them all. Whilst drinking fruits and vegetables in juice form does have digestive benefits (as you're giving the digestive system a break from breaking down fibre) the fibre in fruits and vegetables is actually one of their greatest assets. Juicing actually removes some nutrients by removing this fibre when fruits are peeled or the juices are strained. Some companies offering juice cleanses and cleanse fanatics claim the diet is great for weight loss, however, that isn't always true. Whilst they may give you temporary weight loss, it all depends on your diet and lifestyle choices before and afterwards. Some juice cleanses can be dangerous as many juice cleanses on the market are devoid of essential nutrients, basically starving the body. Those with blood sugar issues, diabetes, nutritional deficiencies or people undergoing chemotherapy should not partake in a juice cleanse. Some juice cleanses that are nutritionally poor can cause a number of issues including fatigue, nausea, excessive hunger and thirst following the cleanse etc. You should always be skeptical when a diet requires extreme restrictions and cuts out entire food groups - there's a reason dietary guidelines have so many categories of food - you can't get all of your essential vitamins and minerals from just one! Our liver, kidneys and intestines already filter out the unwanted things we ingest and expel them through urine, bowel movements, breath and sweat - we have our own natural detox system! There are definitely some benefits to juice cleanses - but you need to choose the right one! A nutritionally balanced juice cleanse can be the perfect kickstart for someone who needs that little bit of oomph to kick off their healthy habits. It's not something that's right for everyone (personally, as someone who does not need to lose weight and who eats a healthy balanced diet, it's not for me) but it is right for some people - you need to make sure you make an informed decision for yourself not making a decision based off what others say. If you are going to try a juice cleanse, make it short. It's not healthy to restrict your body for works from all of the other nutrients it needs. A lot of these juice cleanses and detoxes starve the body of nutrients for days on end (only drinking a few juice concoctions) which tend to give the individual only short term weight loss benefits and no long term success. Sckinny Maninny are an Australian based company that specialise in a tailor made Detox Juice Cleanse which was developed by owner Catherine who is a self proclaimed health junky and exercise addict. Catherine found that, despite loving exercise and eating a healthy diet, she still didn't feel the way she wanted to - she was suffering from bloating and just felt a bit blah. Catherine had tried different juice "detoxes" available to see if they would help, however, she found that the extreme deprivation, repetitiveness and lack of vitamins, minerals and general nutrition just can't be good for you. So she strived to create a better option. The Skinny Maninny detox program was created by Catherine who worked with numerous nutritionists, naturopaths and health professionals. The juices are made up of things we should be eating lots of every day - and they're different from usual cleanses as they also use nuts and seeds to add healthy fats and essential vitamin and minerals. What we love about "Schkinny Maninny"
Schkinny Maninny are certainly different from other juice cleanses available on the market as the juices are actually very nutritionally balanced. You're not starving yourself for days and restricting calories and nutrients completely as the juices include fruits, vegetables, nuts and seeds and they even offer an "Active Plan" which is higher in calories for those with higher calorie needs and a "Juice and Food Plan" for those who don't just want to be sipping their meals. The Schkinny Maninny Juice Detox Plan NOT a low calorie diet with each day containing the RDI of kilojoules/nutrients - it's simply a kick start for a healthy diet - or a way to help you get out of a slump. Schkinny Maninny also make sure you're fully prepared - with daily emails, information cards and even a guide to what you should be eating after the cleanse is over. 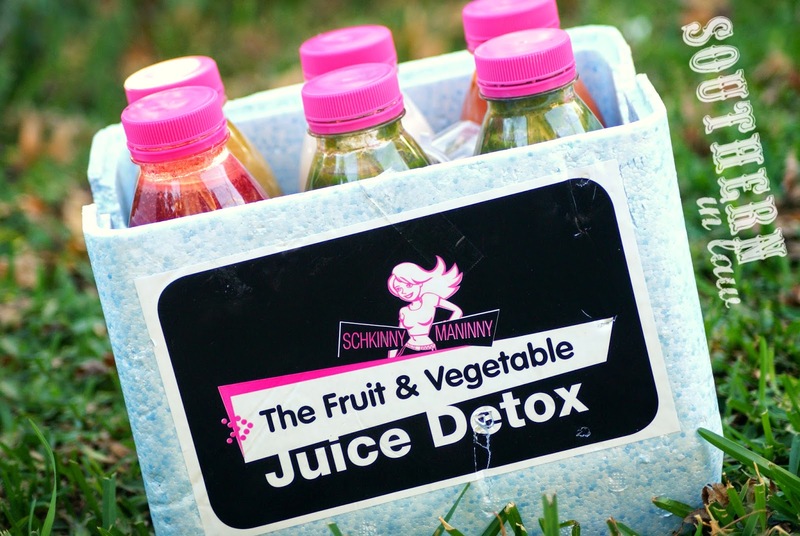 The Schkinny Maninny Detox is available for Sydney, Brisbane and Melbourne Residents and can be ordered from their website, www.schkinnymaninny.com.au . You can choose from a number of menu plans to suit you and they range from $75 (for a one day cleanse) to $295 (for a 5 day cleanse) with food plans $310 for a 5 day plan. But tell me, have you ever done a juice cleanse?